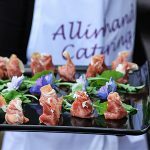 All in Hand Catering have a selection of winter catering menus included VIP canapes catering , finger buffets, fork buffets, and formal fine dining. Alternatively, you can choose from our bespoke menus or from our All in Hand repertoire of Mediterranean catering. 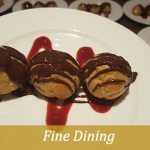 If you are looking for an All in Hand dinner we have created an indulgent three course London catering, which include a canapés reception to start receiving your client with a glass of Champagne. 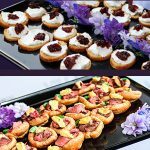 For those of you who plan something informal, we have canapes delivery services, and finger buffets ready to serve in your buffet table. You can also include staff and drinks. 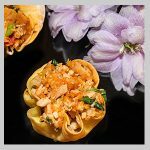 We have listed the hot canapés menus for corporate parties, private events and weddings in London with a minimum order of 50 hot canapés. 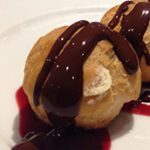 Our delicious menus can be served in appetizer spoons, mini white bowls, mini Yorkshire puddings and customised platters. 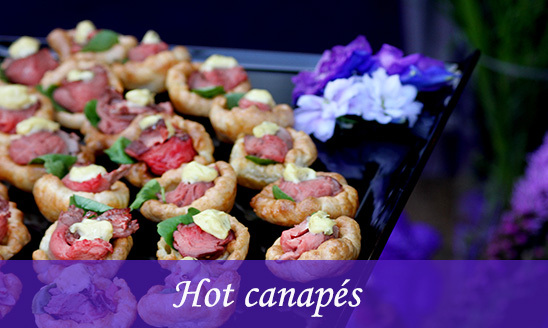 Hot canapés are an excellent choice for corporate evening receptions. An oven and chef are required to prepare the food before serving. 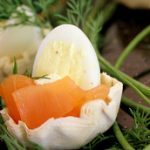 As one of the leading canapés companies in London, we have gained our reputation for using high quality local suppliers. 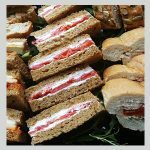 At All In Hand, we have a wide variety of hot and cold fork buffet catering. 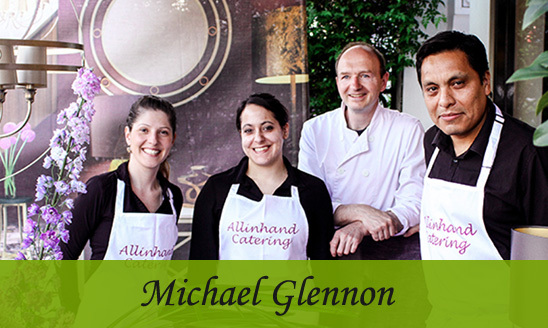 With years of experience catering for London corporate lunches; Michael Glennon’s fresh, hand-made dishes, are the sound choice for your company’s big events – especially those running over several days. Rest assured that with All In Hand, your hot fork buffet will be delivered at the right temperature in our special containers. Hot fork buffets are ideal for everyday lunches, office meetings, or standing events. 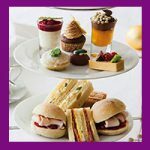 For private bookings, hot and cold fork buffets are perfect for medium-large events. 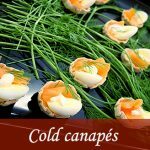 Michael Glennon has created an extensive list of cold canapes suitable for evening receptions, office events, parties and corporate events. 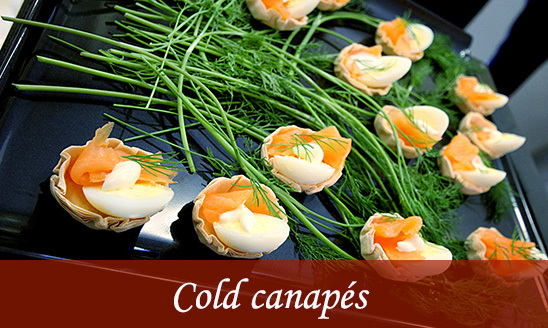 Cold canapés menus are convenient for large numbers of guests. 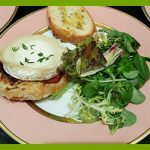 Excellent choice for London catering events, entertain guests for a couple of hours. 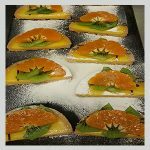 Canapes are delivered and served by experienced professional with many years in the catering London industry. 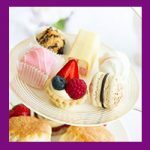 Please give a minimum of 48 hours notice for orders up to 1,000 canapés. If your order exceeds that, we would appreciate three working days notice. 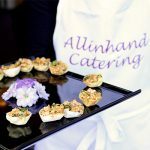 All in Hand is one of the London catering companies located in Kensington. 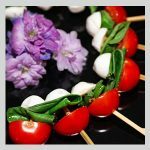 Our wedding appetisers could be the solution to entertain guests on arrival at your wedding party. 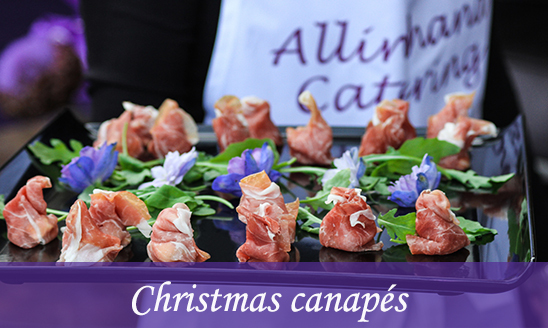 Hosts always appreciate tasting gourmet bespoke canapés with a glass of champagne and house wine. 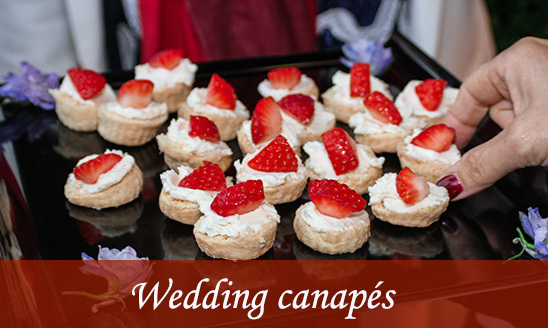 All in Hand staff will serve the wedding canapés menu of your choice. 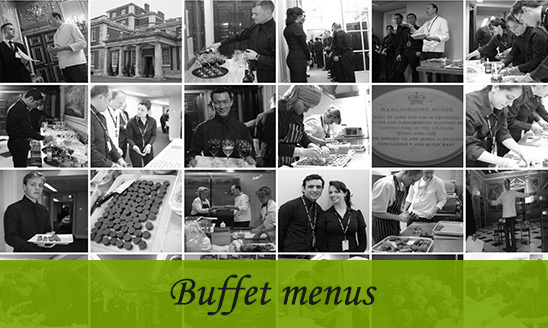 Menus could change in accordance with your venue, location, theme and special requirements. You don’t have to be worried, we will work closely with you. 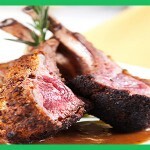 We will plan in advance all catering requirement with you, we help you to choose the perfect menu and wines if required. Staff will arrive 2 hours prior your event. 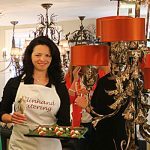 All in Hand butlers will set up and lay your dining table. You will be able to relax in the knowledge that you can spend more valuable time with your guests. We prepare the food all behind the scenes or on the stage if you want to see how its all prepared. No need to worry about whose going to clear up, we will take care of all that. 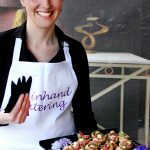 It’s all in hand catering services.